Transport energy consumption accounts for about one third of total energy consumption in the EU. Despite significant advances in transport technology, energy consumption in this sector has increased in most EU countries over the last three decades. Long-term forecast to 2030 suggest that energy consumption will further increase in all major sectors, experiencing the most rapid growth in the transport sector. 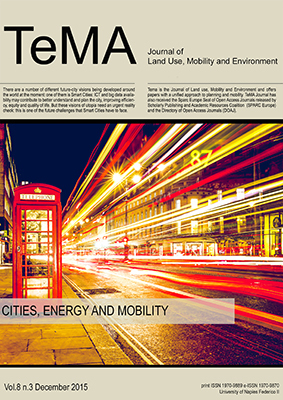 This issue of TeMA is focused on methods, techniques and tools related to urban and regional mobility considered in a key dimension of energy saving.